I've been trying to make my photography more interesting. 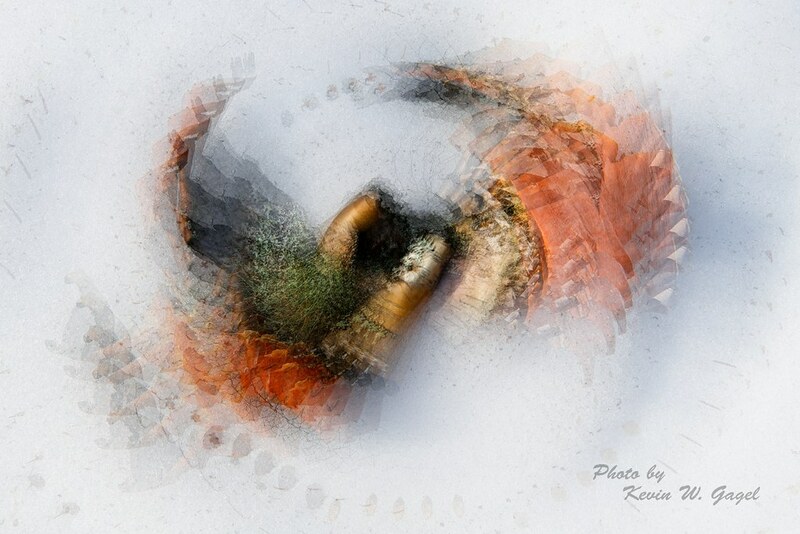 This multiple exposure was hand held while I took ten successive images for the camera to process as one. In On1 Photo Raw I added a just little colour boost to greens and reds. This image was my favourite for that day. Superb that you are sharing. I am thrilled. It’s so important that you do what your spirits ask of you! This catches my attention and I am now ready for its siblings! As a small question, do you really need “photo by”, as it starts to distract, a tad form the delicate image. Your name has beautiful letters and could be sufficient. I agree with Asher re: the copyright! Good point Asher. I think when I made it I was thinking I had to indicate I was the photographer but somehow stating I'm the photographer didn't seem right so I went with photo by. I'll think about this some and will probably just put my name as you suggest. I hope we will see the next episodes of your experiments.